A bizarre mix of stories and pop beats surrounding the band's obsession with Lindsay Lohan, the album is a labour of love. Feelings of intensity immerse the listener as the LiLos' choleric lyrics and crafted music, revolving vitrolic guitar and intense overlays of instruments come together focussed on Tom Linton's (vocals) obsessions during the last year. He not only lost his mind, but found himself in a battle to get Lindsay to notice him (Hollywood Rebel), and this and the rest of these songs, with their beautifully contaminative arrangements, give the album an irresistible charm. Linton, clearly a mastermind wordsmith, and multi-instrumentalist David Smith are introducing a style and passion for music that has been created with love, and somehow lost in its own brand of indie pop music that we have not heard since the likes of the Housemartins first graced the scene. The music is as ground-breaking as it is nostalgic, as the lyrics take you through some of Linton's darker times, reflecting a deep melting pot of his experiences drawn from Lindsay's pitfalls (Drive Like You), and greatest moments (Strong Bionic Arm). Incorporating a variety of ingredients, including nostalgia, anger, shame, abuse and more, contemplatively to produce something absolutely unique. 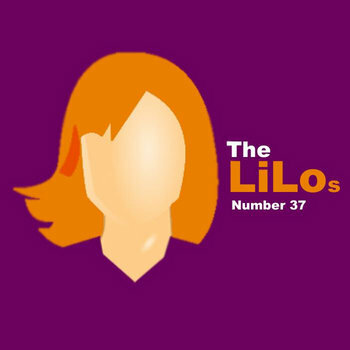 The LiLos' talent within the album shines musically and with a bizarre personality. The waves of lyrics are layered against chunky guitar to make this a living, breathing piece of art. The discerning music fan is sure to notice something new every time that they add this to their play list.